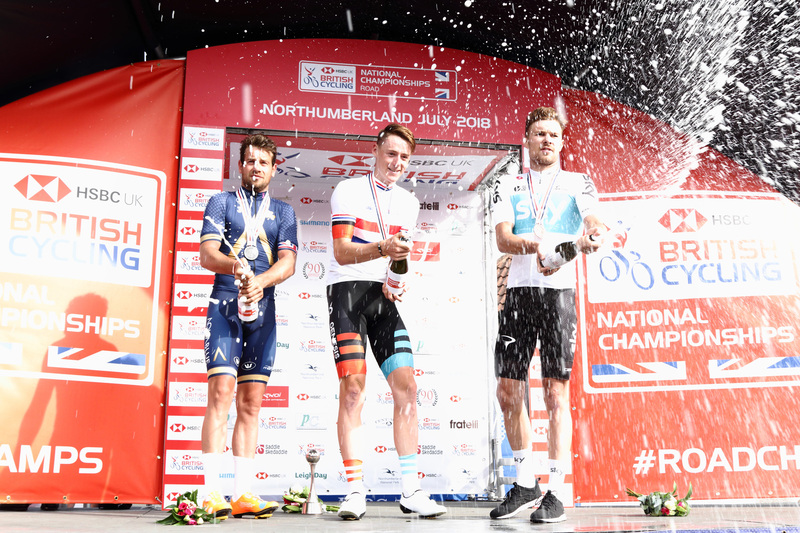 Domestic Bliss On The Roads Of Northumberland For Jessica Roberts & Connor Swift In The 2018 National Road Race Championships In Stamfordham. 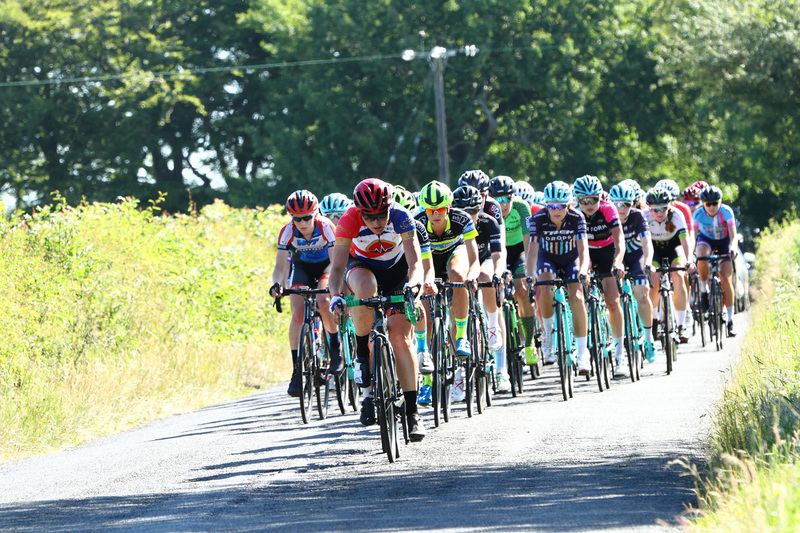 Fending off the Continental based Stars of the Road around the infamous 22-mile Ryals loop in Northumberland, Jessica Roberts [Team Breeze] and Connor Swift [Madison-Genesis] took emotional wins across the line in Stamfordham as blistering temperatures melted the road surfaces in a hotly contested race that brought glory to the Domestic Scene in both the Men’s & Women’s races. 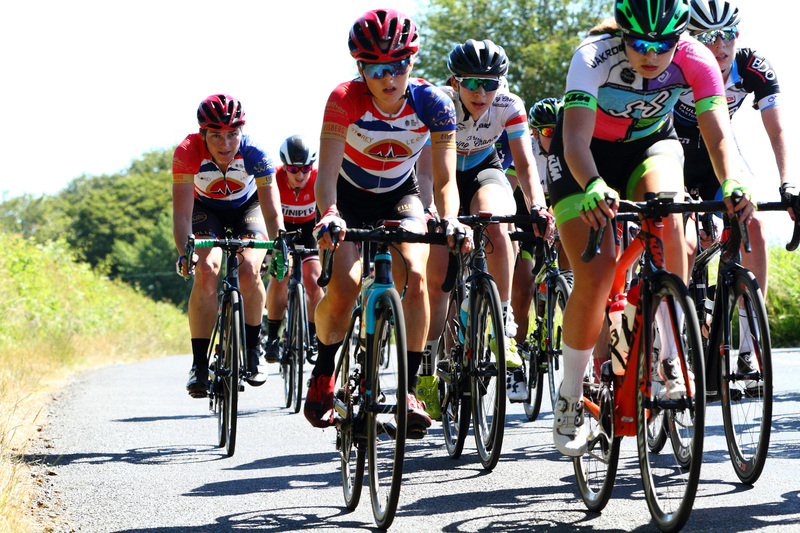 A strong field of Women were amongst the 87 starters including Olympic Track & Road rider Dani Rowe [WaowDeals Pro Cycling], Hannah Barnes [CANYON-SRAM Racing] & Lizzy Banks [Unitedhealthcare Pro Cycling Team]. 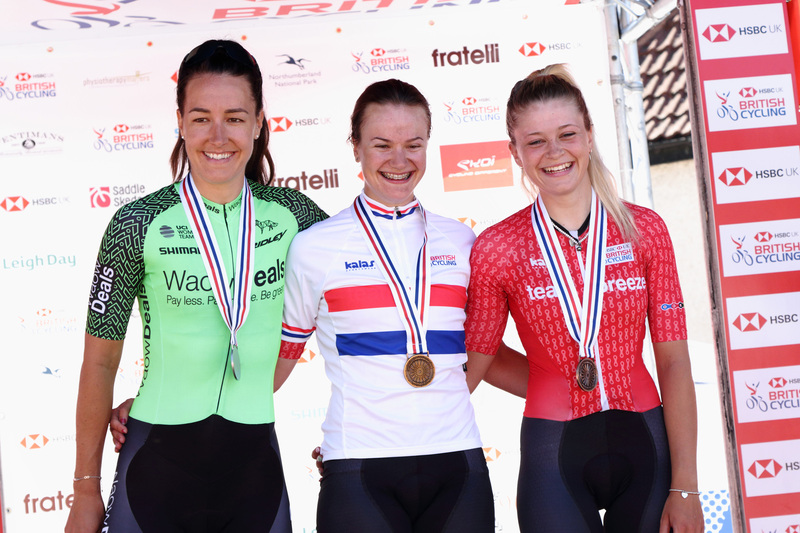 It was another Continental rider that lit the torch in the early stages as Dani Christmas [Bizkaia Durango-Euskadi Murias] set about an early break along with former Women’s Road Series winner Nikki Juniper [NJC-Biemme-Echelon] and ever active Illi Gardner [YRDP] building a lead of around 30s before returning to the fold. 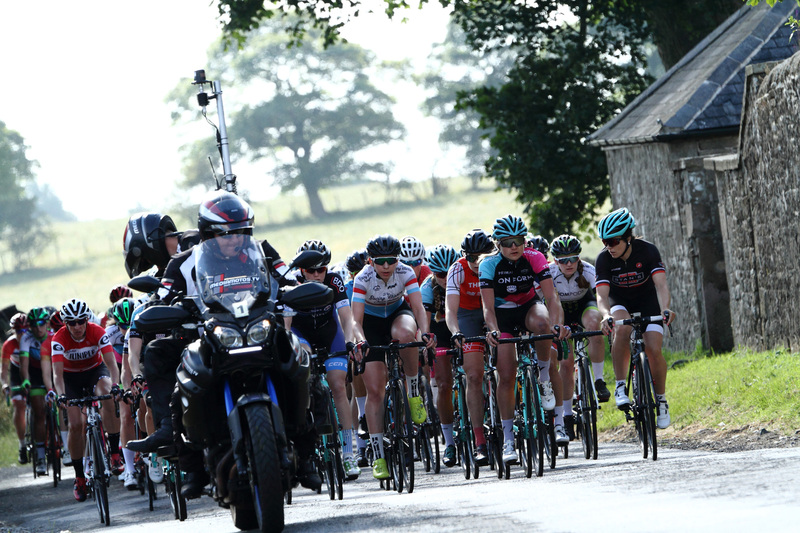 The Peloton were together as the riders tackled the Ryals for a second time. 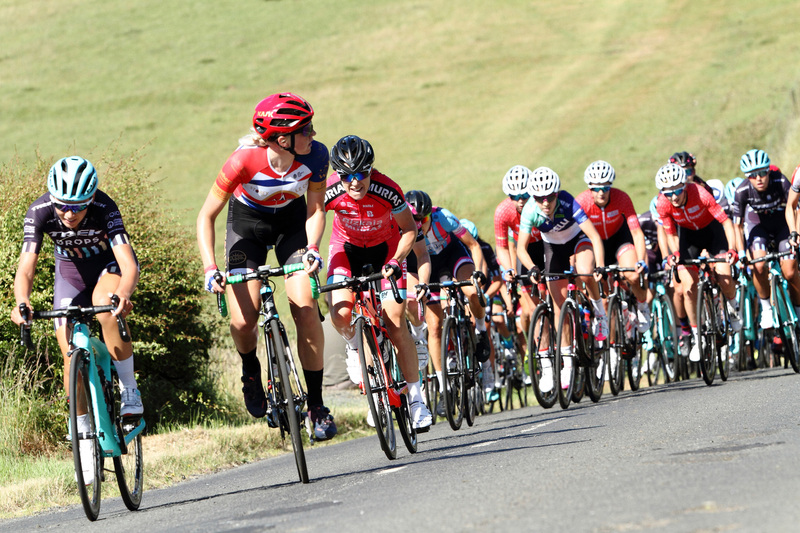 Through Matfen Juniper moved off the front again, this time joined by Hannah Payton & Anna Christian [Trek-Drops] along with Natalie Grinczer [WNT-Rotor Pro Cycling]. 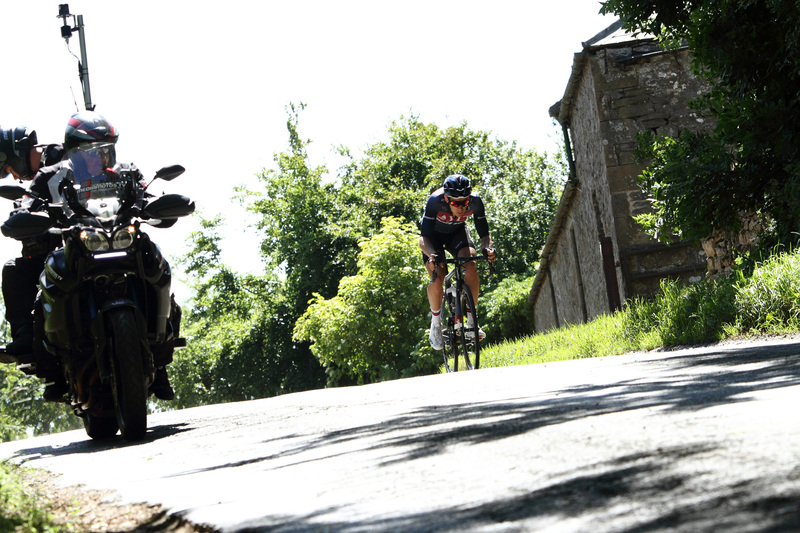 A 30s gap opened up as the riders passed the line for the penultimate time with 36km remaining. 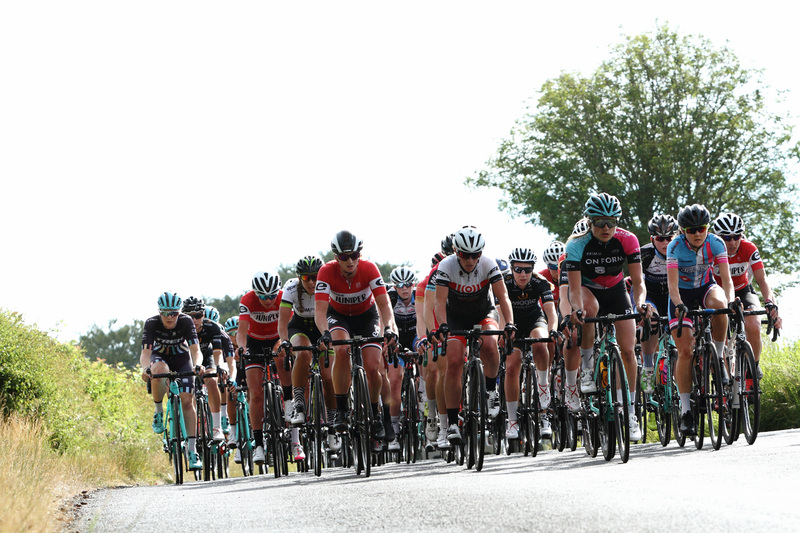 Down to half-a-lap remaining, the 4 leaders were in-sight of the peloton as Dani Rowe [WaowDeals Pro Cycling Team] reeled them back into the fold. 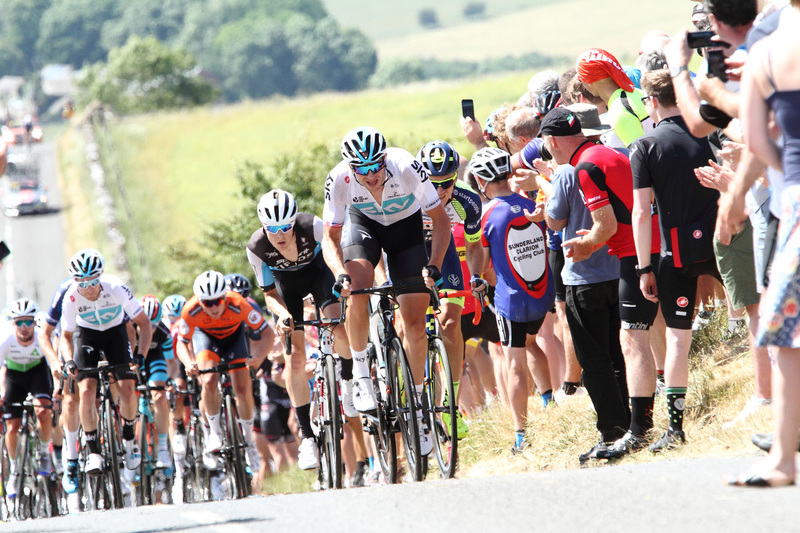 Rowe attacked in hope of the Jersey, the speed of the peloton increased and a single line formed in pursuit. 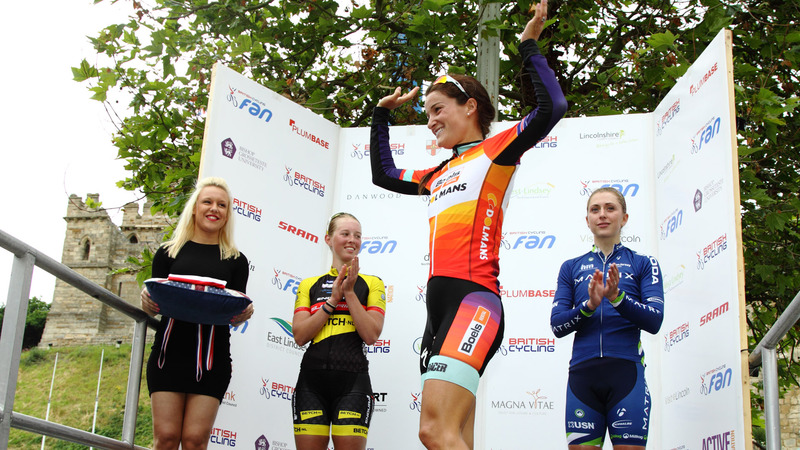 Defending U23 Champion & newly crowned U23 Time Trial Champion Mel Lowther [Storey Racing] counter-attacks. 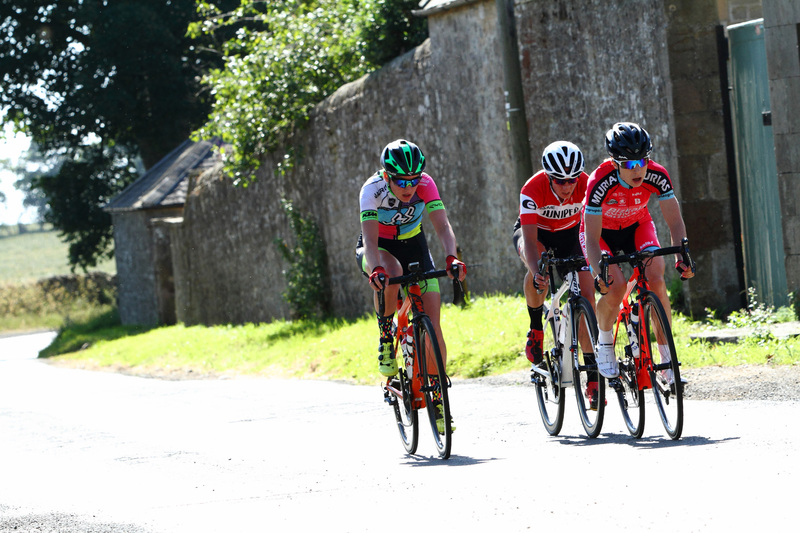 Roberts bridged across to Lowther gaining a small gap, as the peloton were kept at bay up & over the Ryals and the final push, with 7 kms remaining and a 22s advantage. 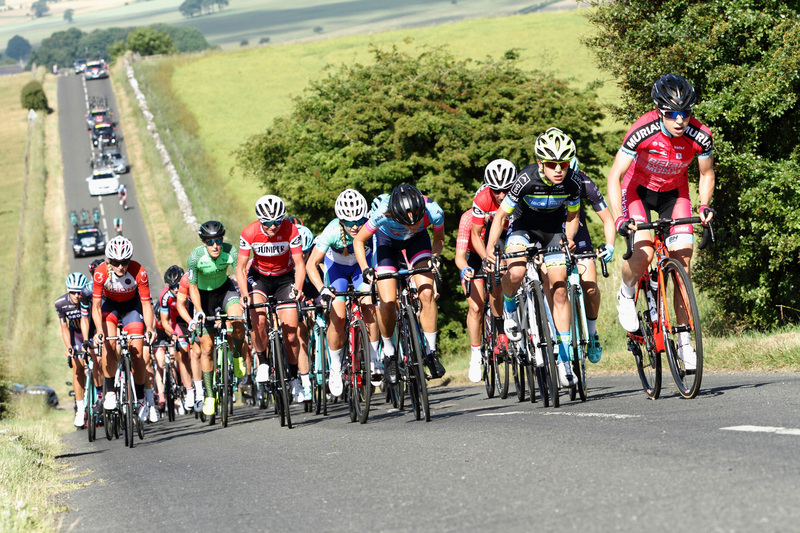 With only a few kilometres remaining Emma Grant [Team Tibco Silicon Valley] tried chasing the leading duo down, Anna Henderson [Cycle Team OnForm] joined her. 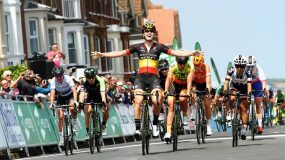 The gap halved & nineteen-year-old Roberts began to sense that Lowther was unable to sustain the pace and decided to give it 100% commitment – taking it all the way to the line for not one, but two National Jerseys. 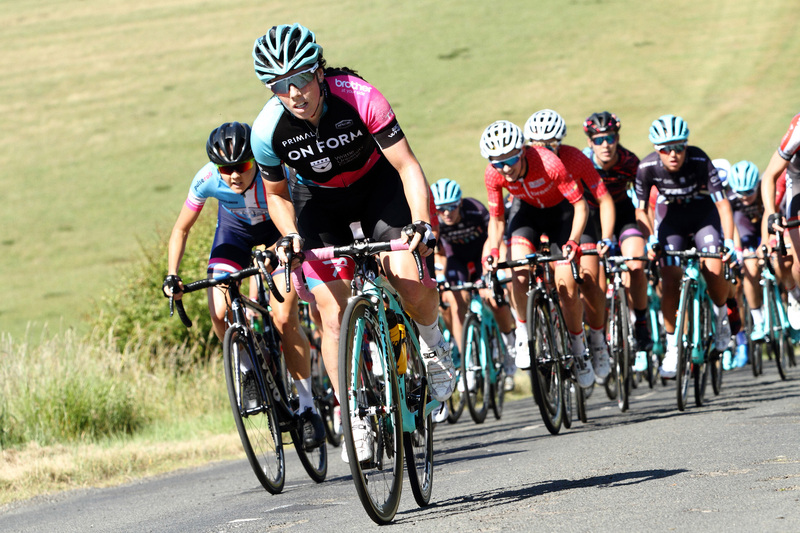 Rowe came a close second with Roberts team-mate Eleanor Dickinson [Team Breeze] third. 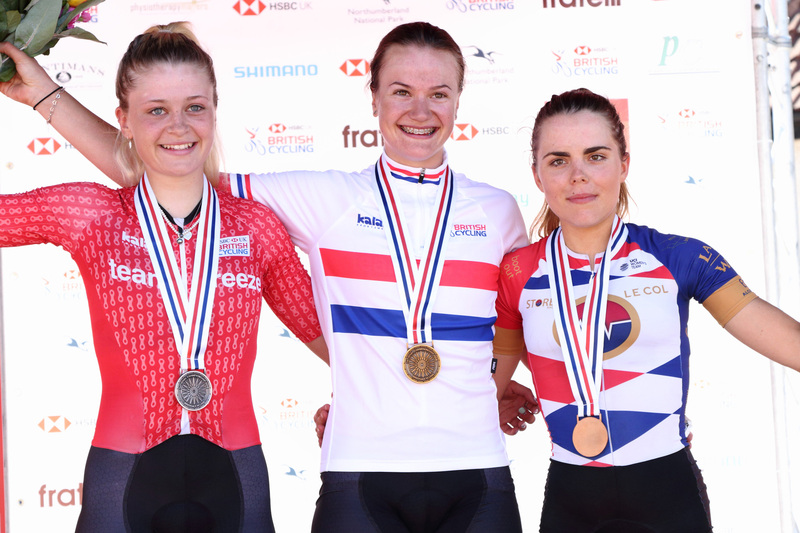 Finishing 3rd on the U23 Podium Anna Kay [Storey Racing] who finished fourth overall with 5th place going to another Team Breeze rider Megan Barker. 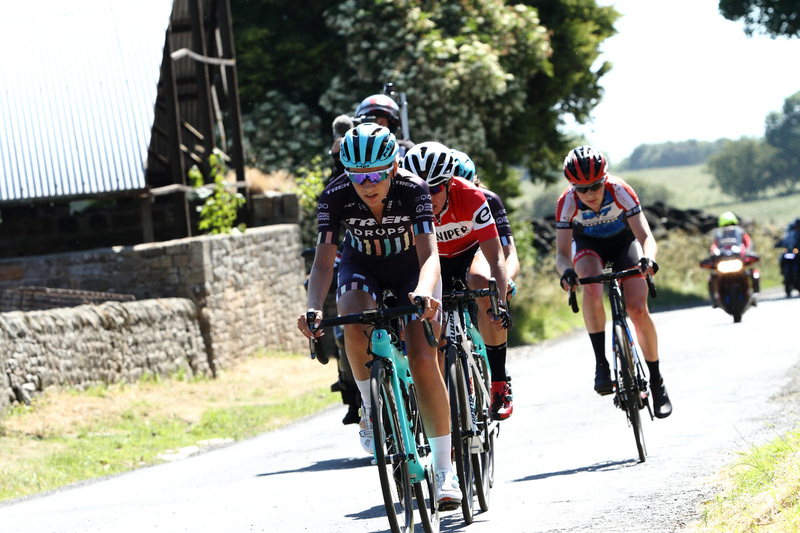 A big target for Dani Rowe this year, competing at the Nationals, got put into jeopardy crashing heavily on the penultimate OVO Energy Women’s Tour. 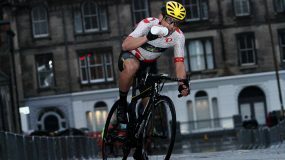 Although finishing the final stage and a 2nd on the podium said afterwards “Probably never been so gutted to be second – to be honest. 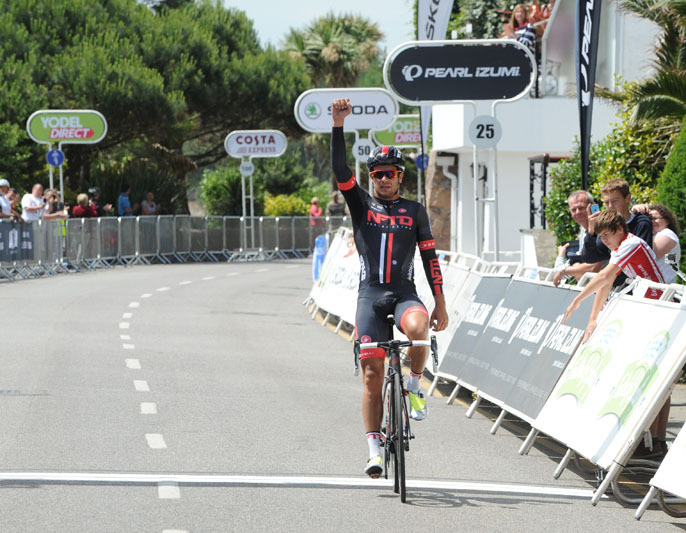 I really wanted the Jersey, but like I said I think I did everything I could today. 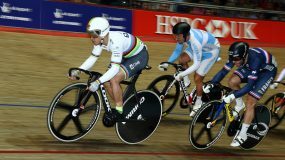 I tried to make it as hard as I could, unfortunately nothing was kind-a sticking – but I was trying to hurt everyone else’s legs as much as I could. 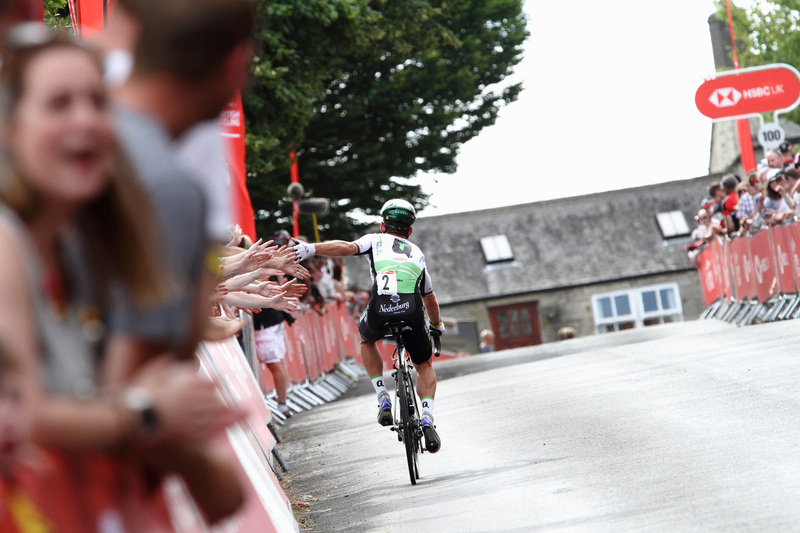 I knew I had a good sprint, I wasn’t too bothered if it came down to a sprint. 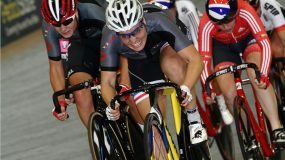 Obviously, Jess counter attacked myself-actually on the back half of the circuit. 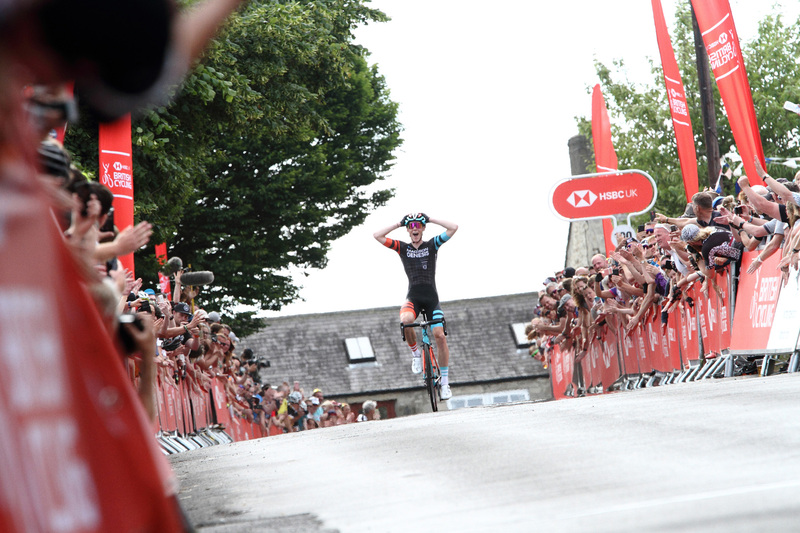 The gap was coming down, but the finish line came a little bit too soon unfortunately”. 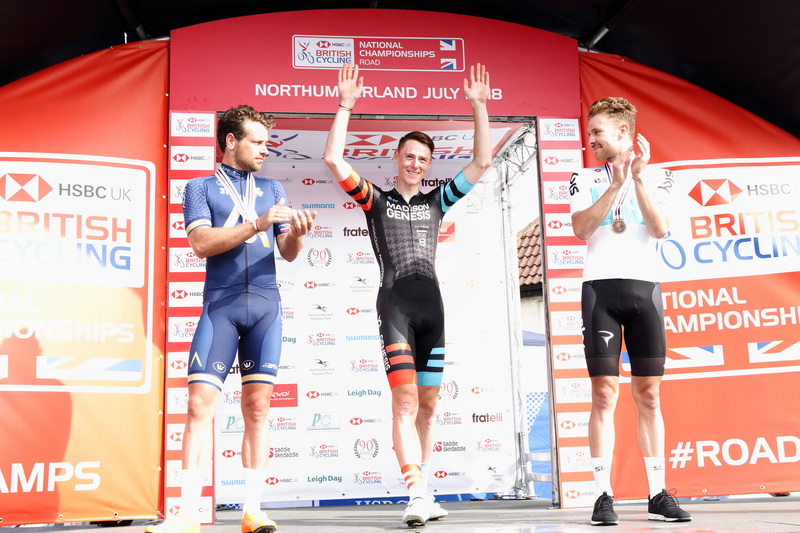 A gutsy move by Connor Swift [Madison-Genesis] paid dividends with 13km remaining on the final small circuit of the National Road Championships. 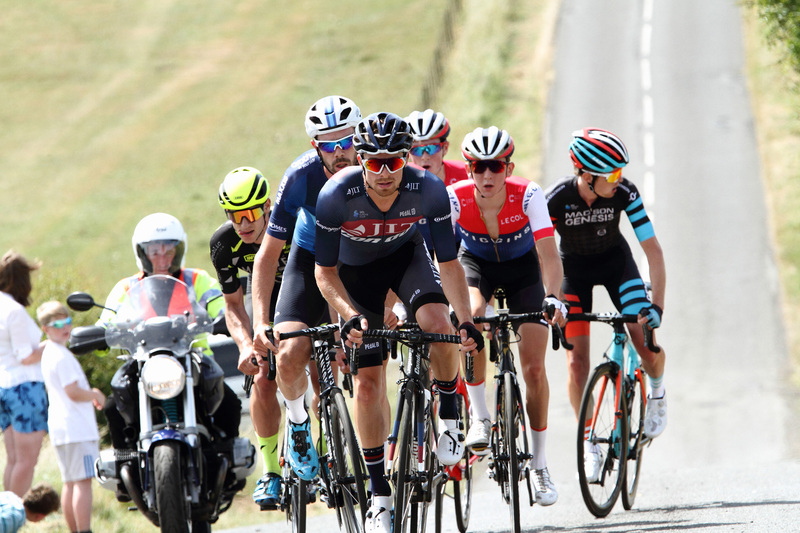 Time-trialling himself along the last half of the course – looked at one point – as if former National Champion Adam Blythe [Aqua Blue Sport] was going to get across from what was effectively the remnants of the days big break. 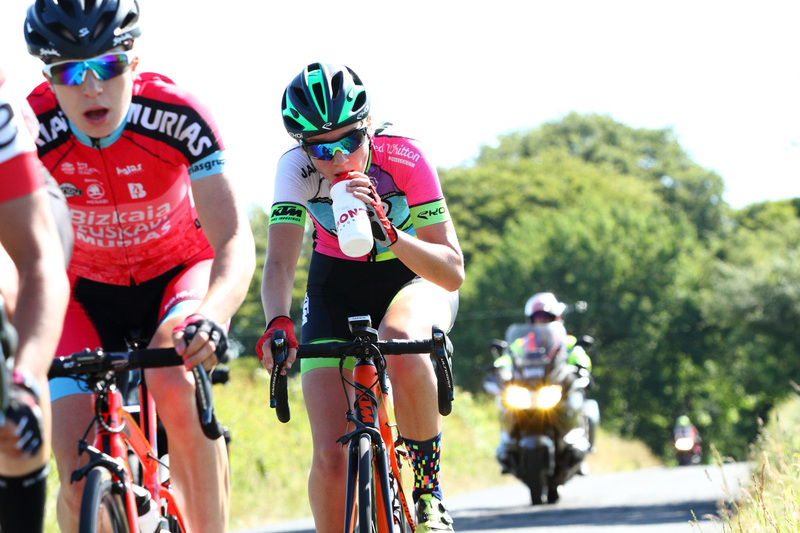 Blythe got to within whiskers of contesting the sprint-finish but just ran out of gas in the dying kilometres to finish second – 22s back. 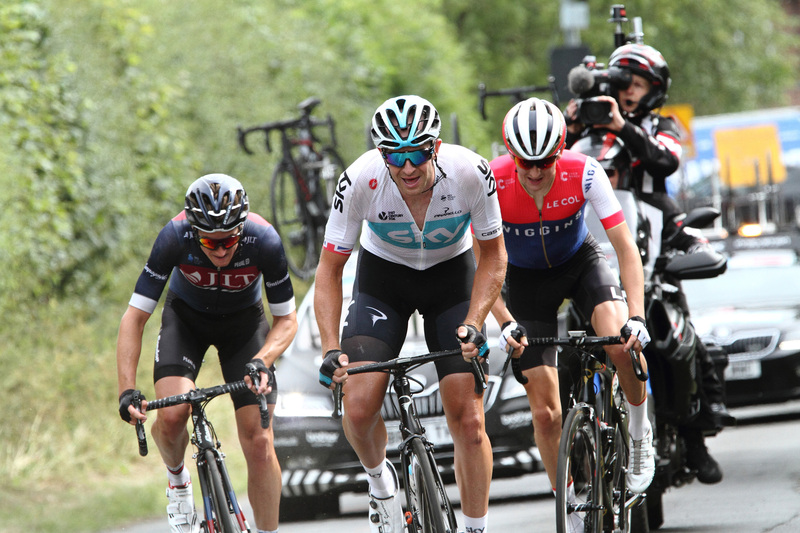 Team Sky had a representative in the move finishing third overall with Owain Doull and the other big name, Ben Swift [UAE Team Emirates], were part of a strong Domestic field of 17 riders that held over a three-minute gap throughout the race. 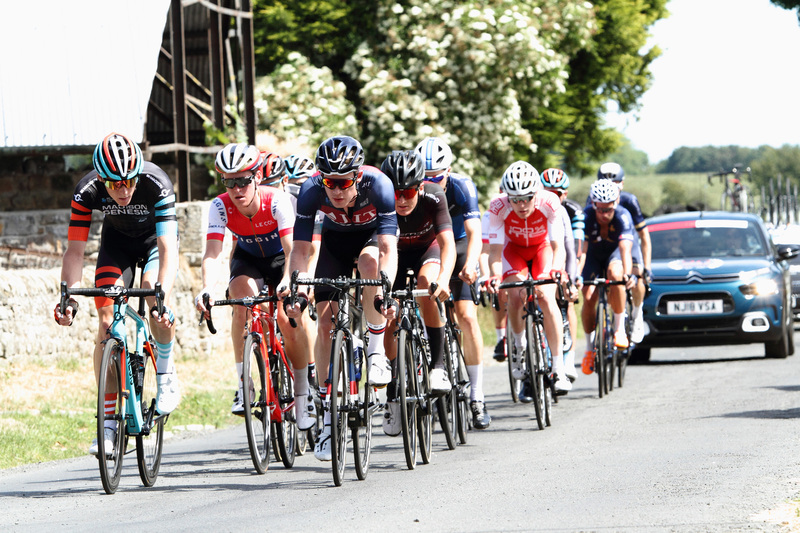 Jon Mould [JLT Condor] was the first to attack from the gun getting a 10s gap in the first couple of kilometres. 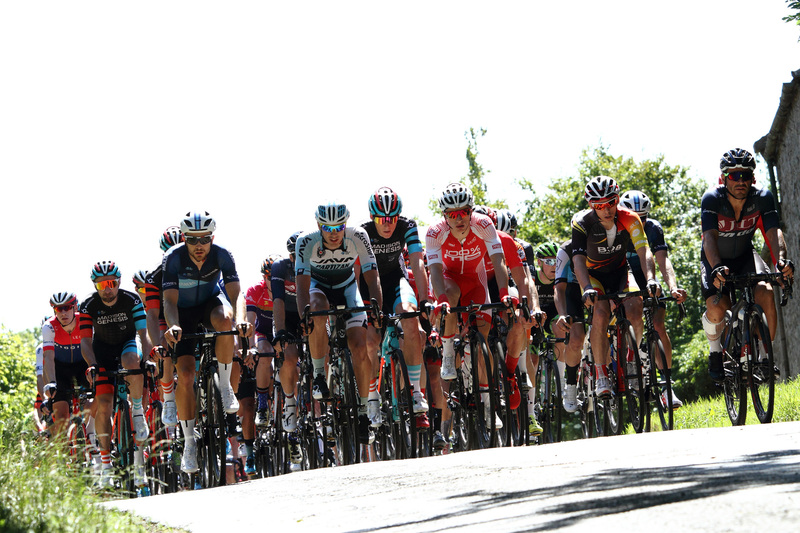 Reeled back, there were many attacks from a very active peloton – early on. 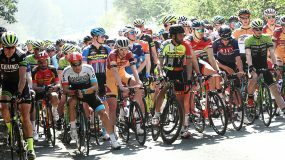 HSBC-UK BC National Road Race Championships | 2018 – Peloton on the 1st small circuit. 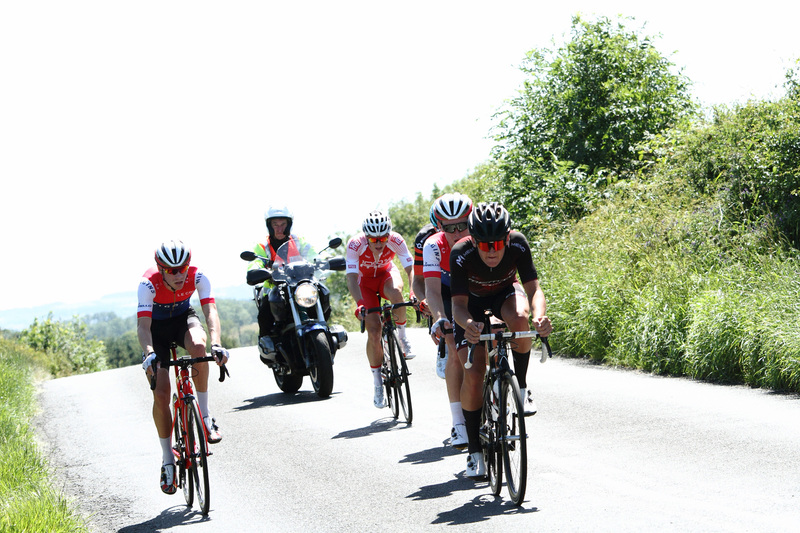 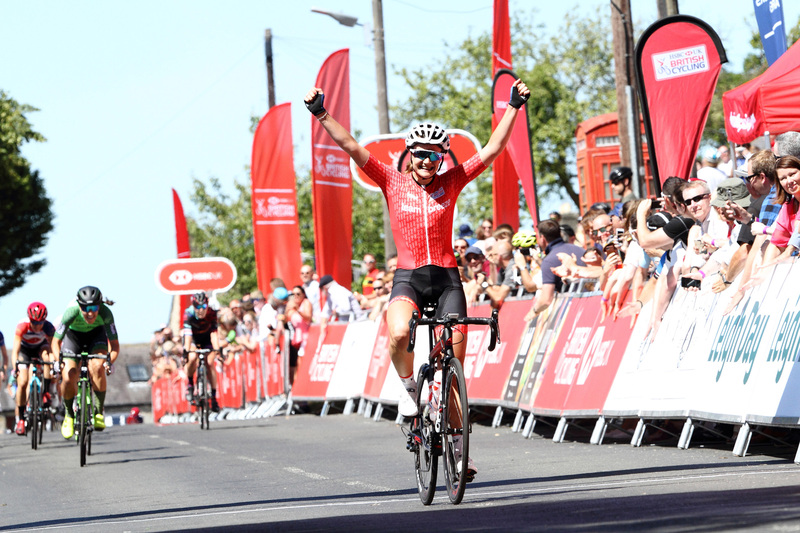 HSBC-UK BC National Road Race Championships | 2018 – First big circuit & more small breaks try their luck. 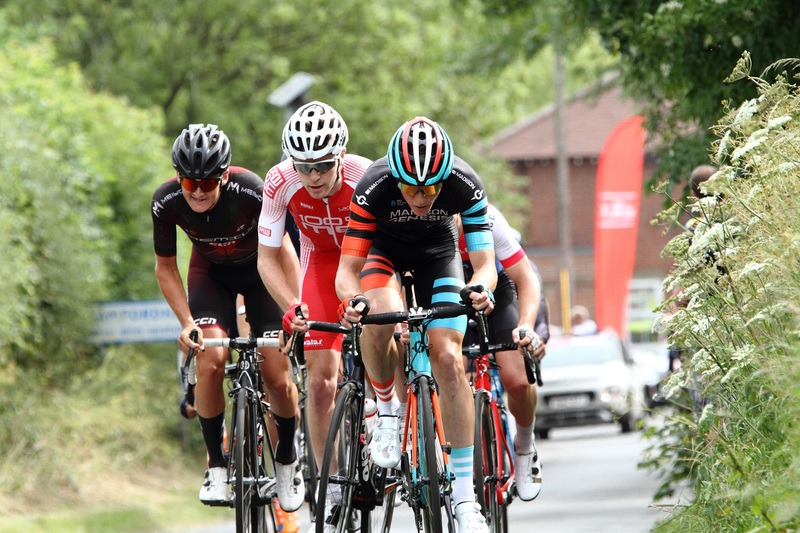 A group of seventeen riders eventually settled at the head of the race including Charlie Tanfield [Canyon Eisberg] winner of the Time Trial Championships a few days earlier. 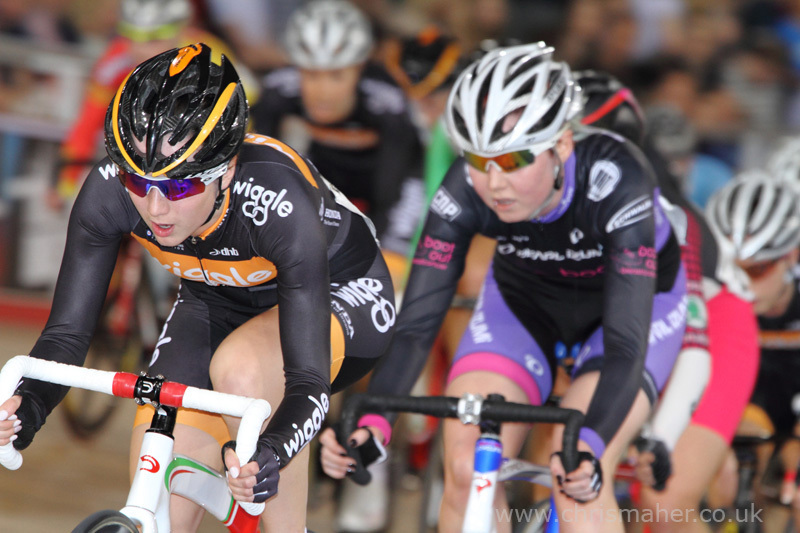 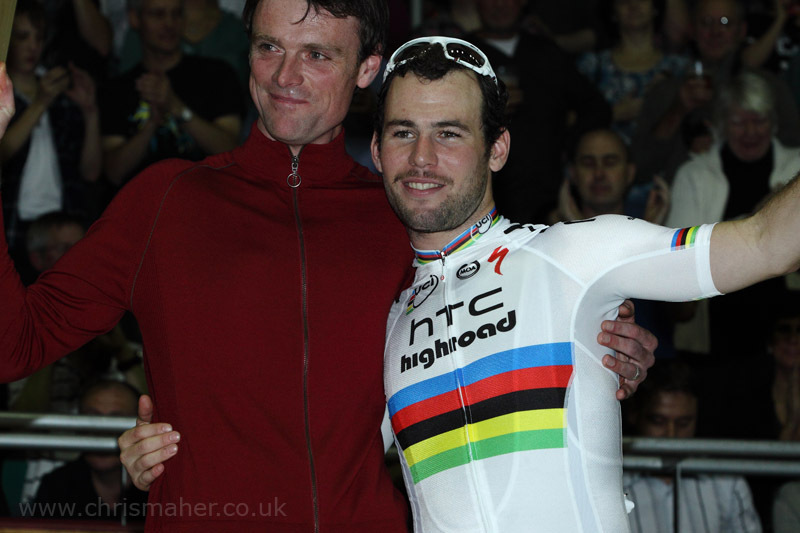 Track Team-mate Daniel Bigham [Ribble Cycling] & Matt Holmes [Madison-Genesis]. 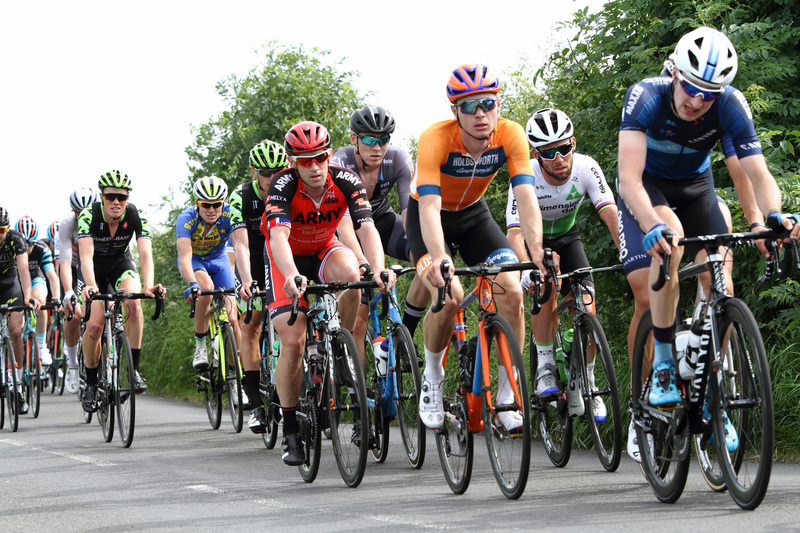 HSBC-UK BC National Road Race Championships | 2018 – An established 17 rider breakaway with Connor Swift up front. 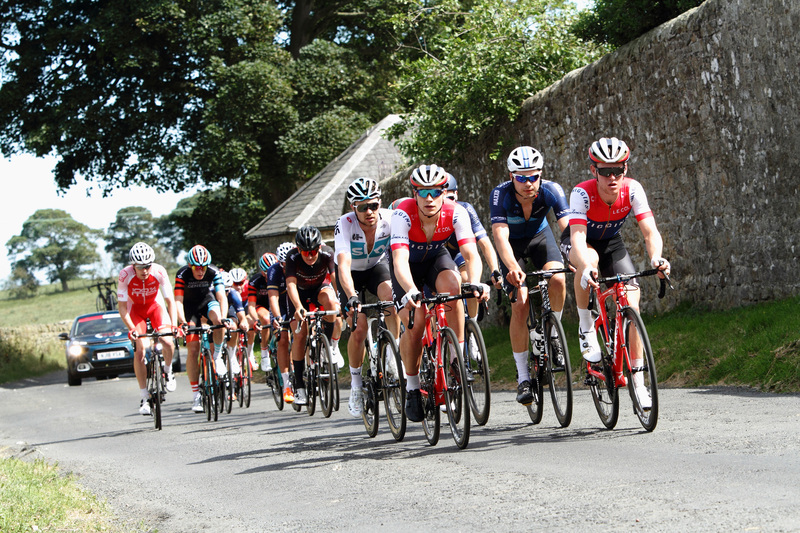 As the kilometres came down a bit of urgency to close the riders down split the peloton into five or six groups with several Sky riders finding them selves towards the rear of the chase. 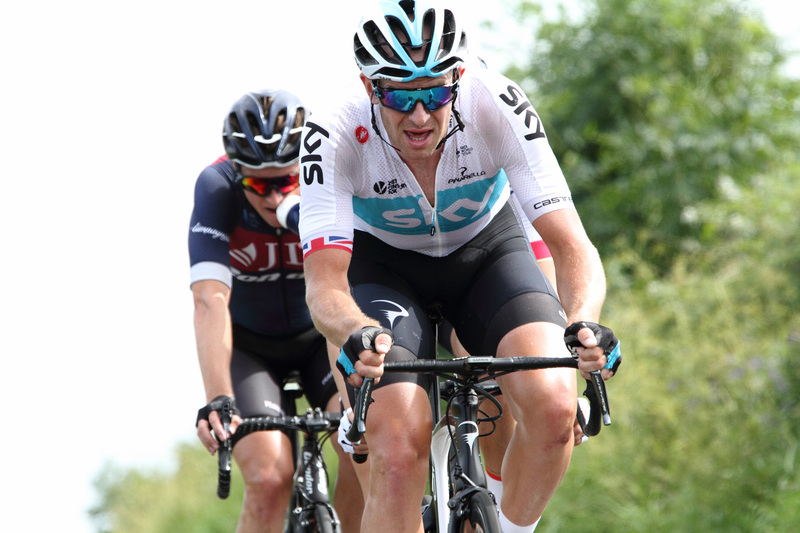 Stannard was the closest to the front that led the only real challenge coming from much further back to bridge the gap joining up with Mark Donovan [Team WIGGINS] & Tom Stewart [JLT Condor] and got to with-in 50s at one point. 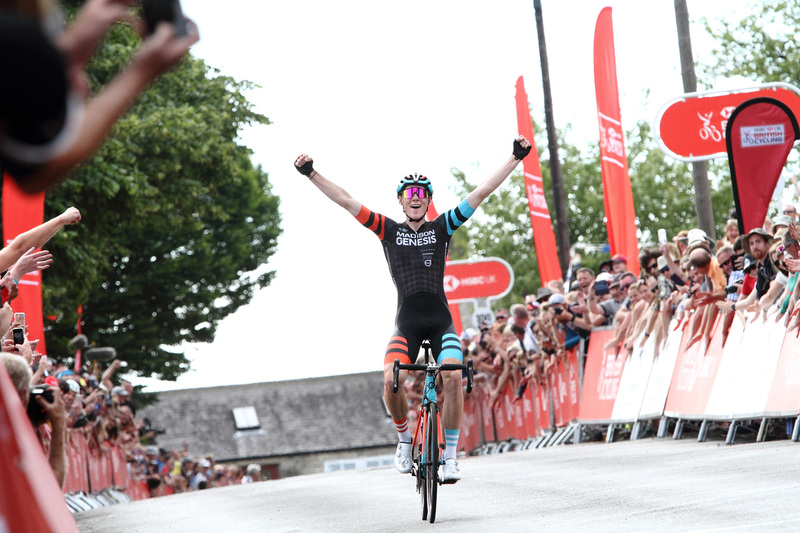 Robert Scott [Team WIGGINS] finished fourth, to claim the U23 Title as he sprinted across the line with Fred Wright [100%] a close 2nd, finishing fifth. 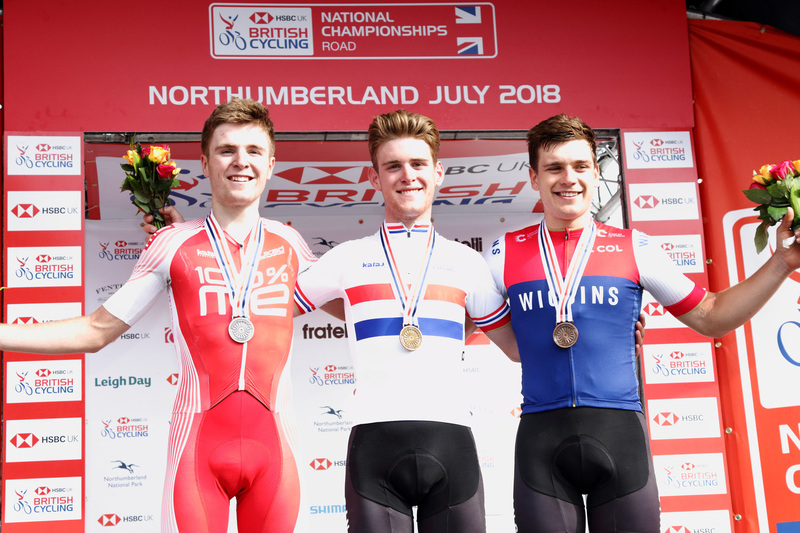 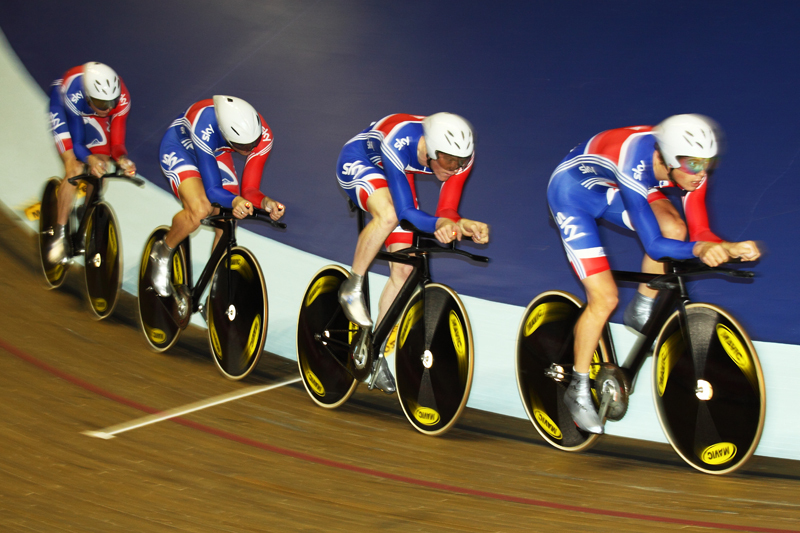 Gabriel Cullaigh [Team WIGGINS] finished 7th some thirty seconds behind to finish third on the U23 Podium. 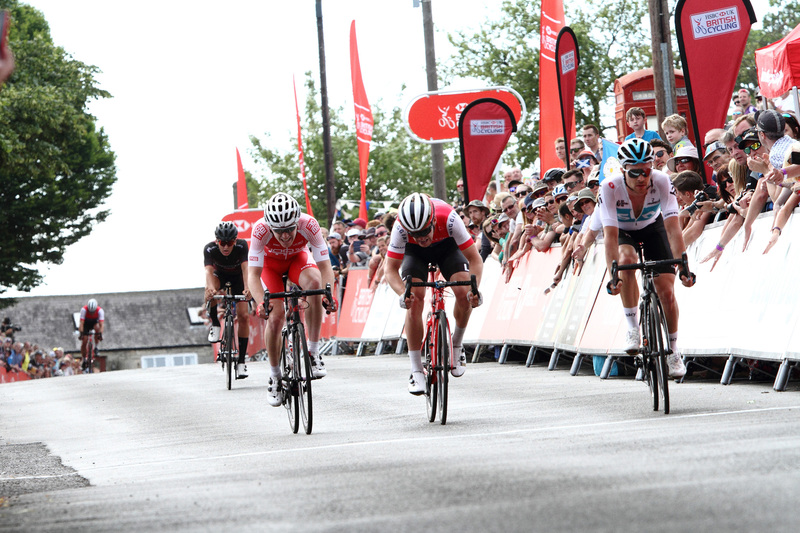 HSBC-UK BC National Road Race Champs 2018 – Ian Stannard, Tom Stewart & Mark Donovan still in contention… with 1 small lap remaining. 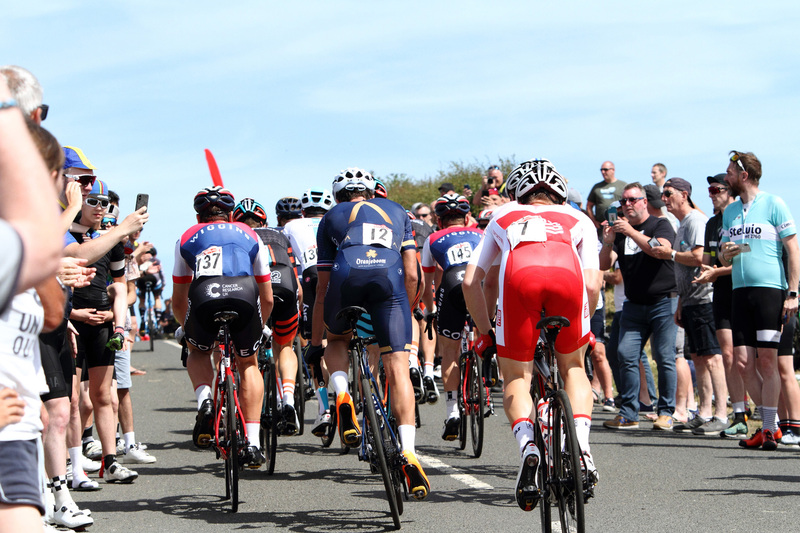 Only 38 riders from the 146 starters finished the race, succumbing to the fast pace & increasing temperatures on this hot, glorious day in Northumberland as the crowd applauded all those that were pulled on the final lap including Mark Cavendish [Dimension Data].